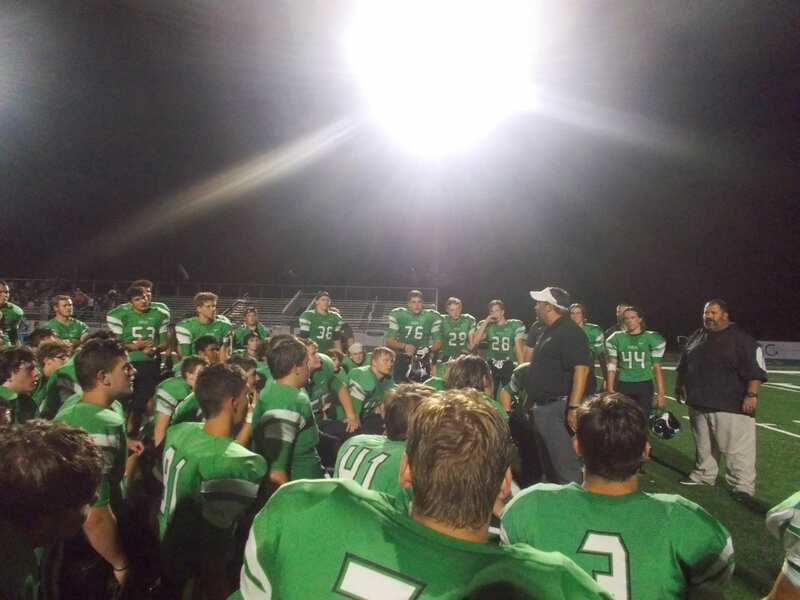 Last Friday, the PHS Dragons varsity football team hosted the Bulldogs of Chamblee-Charter in the final non-region game before region action starts. Chamblee, is out of the 5-A classification. Chamblee, got the ball to begin the game, & the Dragons defense was up to the task early of stopping their unique offense. 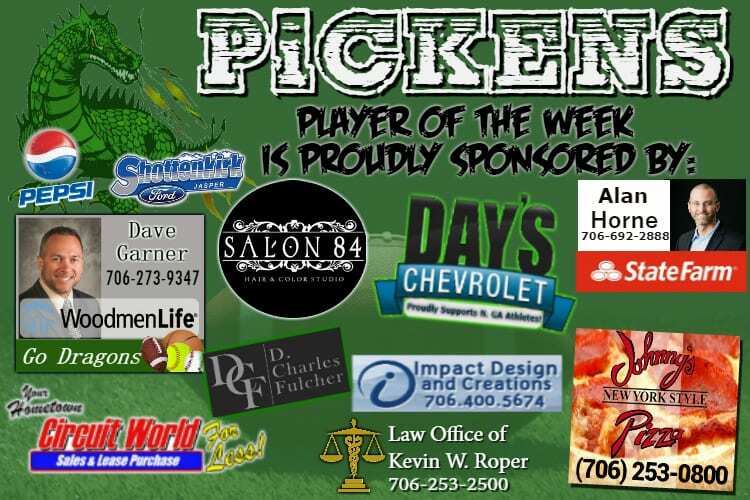 Offensively, it didn’t take long for Pickens to get on the board as CJ Streicher connected with fellow Junior Alex Snelgrove on a 32-yd TD pass to give the Dragons the 7-0 lead, with 8:23 left in the 1st quarter. 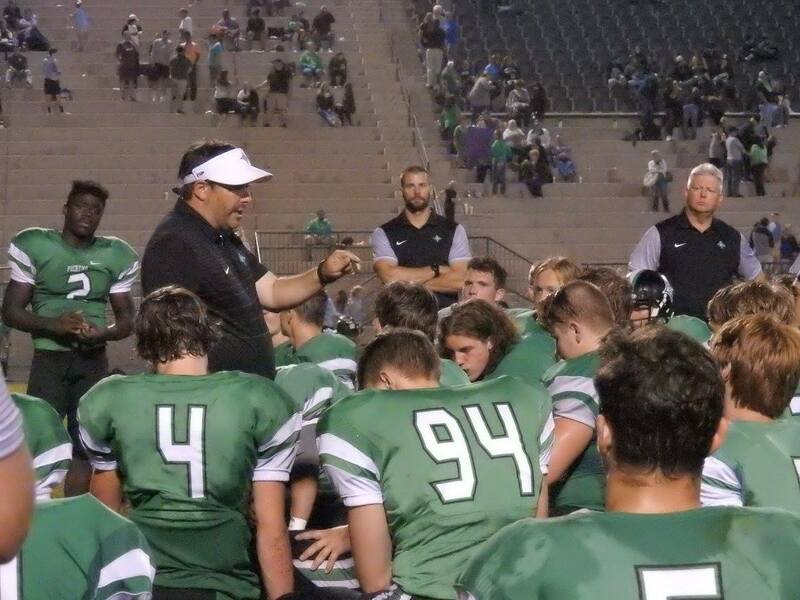 The Dragons would then make a play on Special Teams, by blocking a would be punt attempt from the Bulldogs, giving the offense great field position. The next play, Robert Davis would run it in from 16-yds out, & the Dragons held a 14-0 lead with 7:09 left in the opening quarter. Streicher, got in from 15-yds out after shaking off what seemed like 5 or 6 Chamblee defenders to get into the end zone, and stretch the Pickens lead out to 21-0 with 3:33 left in the 1st. Just before the 1st quarter came to an end, Streicher & Snelgrove connected again. This time, from 37-yds out to give the Dragons a 28-0 lead, heading to the 2nd. 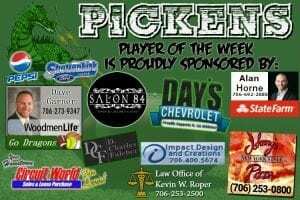 The scoring continued for Pickens in the 2nd quarter as Davis found the end zone for the 2nd time after a 1-yd TD run to make it 35-0. At the 4:03 mark of the 2nd, Michael Burrell got in on the scoring as he would run it in from 9-yds out to give the Dragons a 42-0 as we’d go into halftime. In the 3rd, Burrell, added his 2nd rushing TD on the night after a 45-yd scamper to the end zone at the 9:44 mark to give the Dragons a 49-0 lead. Chamblee, got on the board not long after that at the 9:05 mark after a 65-yd TD run. 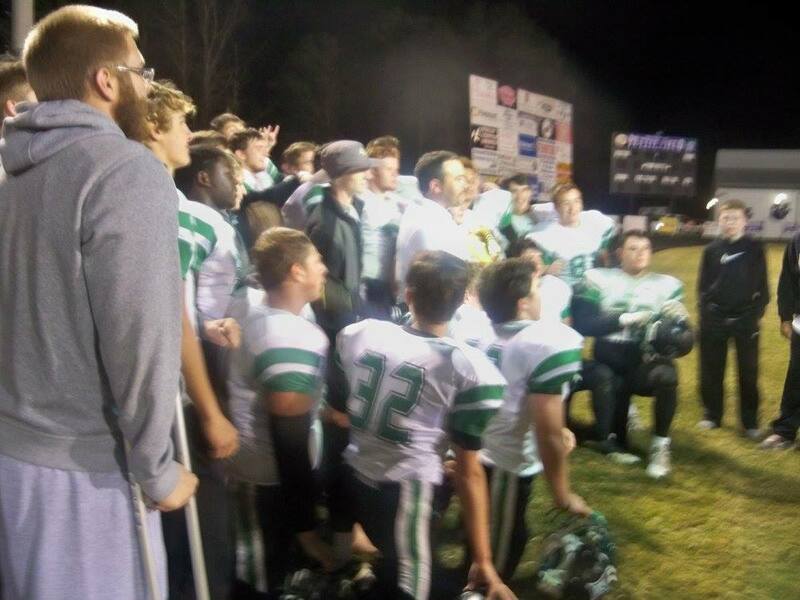 The Dragons were able to block the PAT attempt, making it 49-6 Pickens. 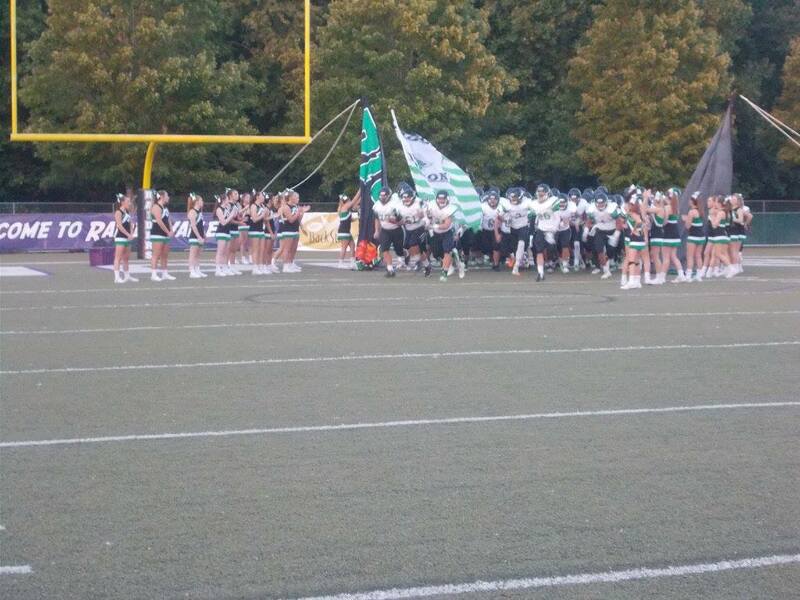 49-6 would be the final score in this one as the Dragons finish the non-region portion of their schedule at 4-0. 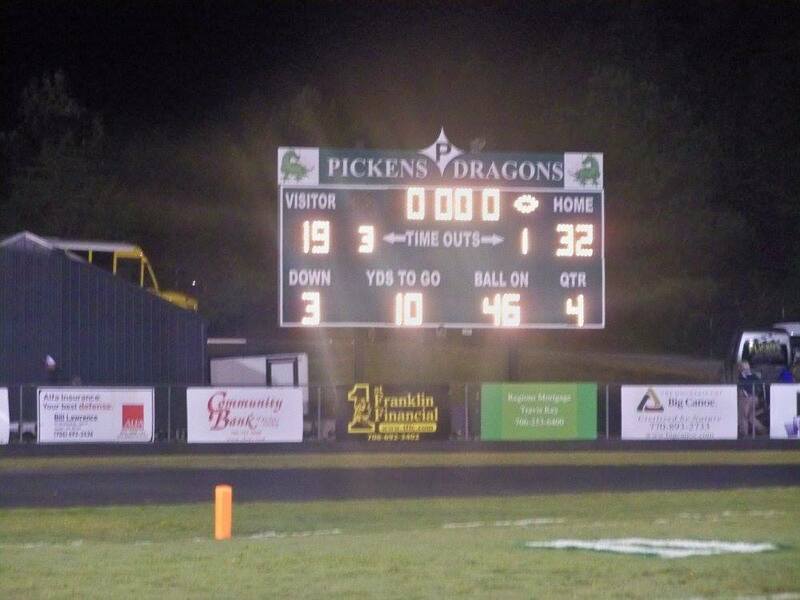 Pickens will once again be at home next week for the 5th game in a row as they begin 6-AAAA play. 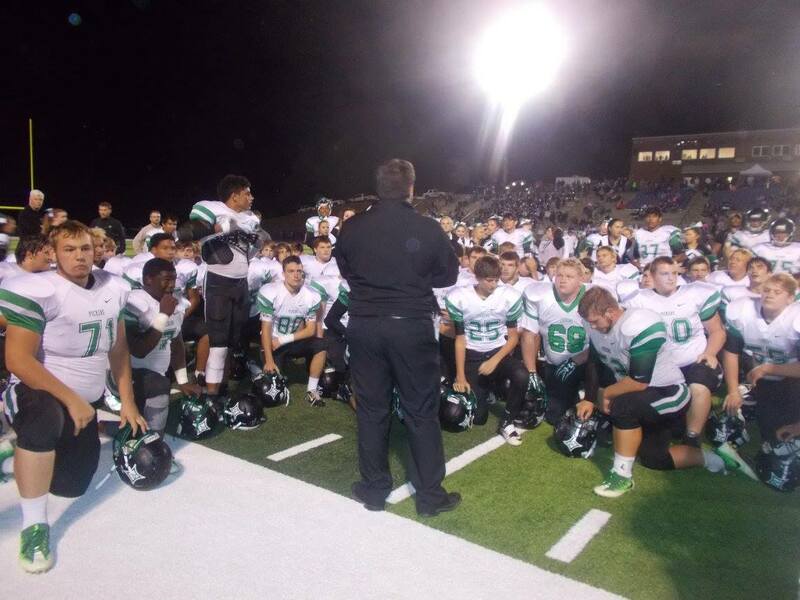 The Dragons will welcome the Bobcats of Gilmer to Dragons Stadium for Homecoming next Friday night. Kick off is at 7:30. 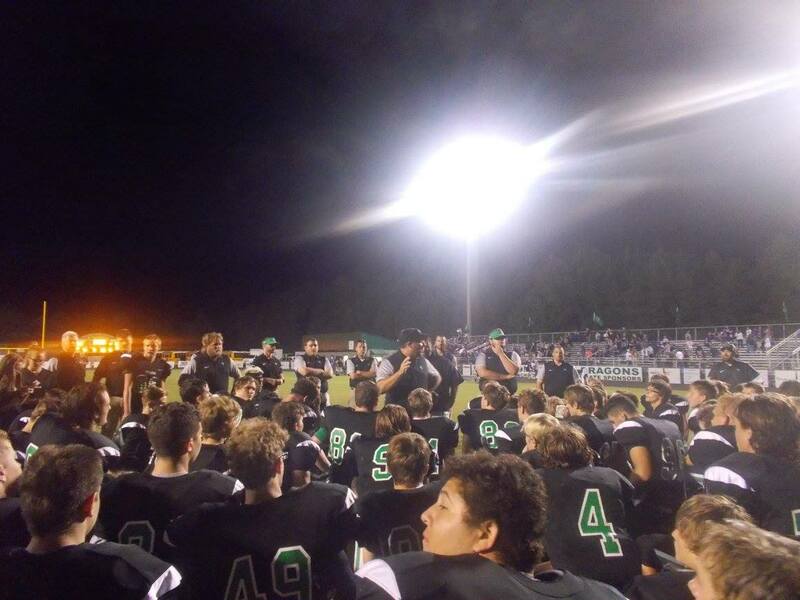 The Pickens Dragons traveled to Ellijay on Friday night in hopes of defeating the Gilmer Bobcats, but the Dragons struggled through four quarters against its biggest rivals en route to a 17-0 loss, the first time Pickens had been shut out by Gilmer since 2009.